It is easy to find Coconut Grove, Florida. First you have to find Miami, and you will typically come down from the north on I-95 or the Turnpike or in from the west on US-41 or I-75. An easy way to get into Coconut Grove is to take Exit 1A on I-95 as if you are going to take the Rickenbacker Causeway to Key Biscayne. Turn right on South Miami Avenue. It soon becomes South Bayshore Drive and will take you into the heart of The Grove. Keep driving until you pass Monty's restaurant on the left and come to the big right hand curve further down the road. This is MacFarlane Road, and you are now in the heart of The Grove. You can use the map at the bottom of this page to help you get around, but The Grove is definitely a walkable community and you won't get lost. Most of the residential areas of Coconut Grove Florida are north, south and west of this downtown heart, although plenty of people live in the condos right downtown. Park your car and enjoy yourself. Coconut Grove Florida is a community located within the city limits of Miami. It used to be a separate town, but was annexed by the City in 1925. The area is usally called "The Grove" by locals. This part of south Florida has an average elevation of about 13 feet above sea level. That makes it one of the higher areas in this flat land. It's why it was one of the first places to be settled. The first post office down here was established in 1873. Some of the first settlers were British. They were followed shortly after by Bahamians. Many of the beautiful coquina rock stone walls and buildings in Coconut Grove were constructed by those early Bahamians. The evidence of these structures is still seen all over The Grove. 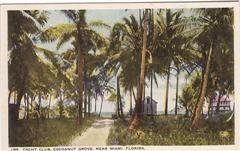 The first hotel in south Florida was in Coconut Grove. It was built in 1882 on land that is now Peacock Park. 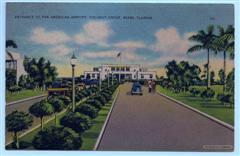 It was called the Bay View Inn, a very accurate name because it looked out over Biscayne Bay. This was long before the railroad came to town. Tourists came down from up north on passenger steamers. The Grove is best known for its lush natural vegetation. This green paradise with the blue backdrop of Biscayne Bay has always attracted people. Most of the residential areas have streets that are more lanes than roads. Lush trees provide canopies that shade most of these streets. Quaint cottages and lush mansions live side by side in The Grove. Billionaires, actors, artists, writers, musicians and just plain free spirits have always been drawn to Coconut Grove. 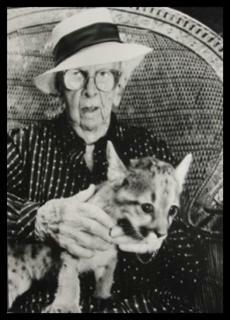 Marjory Stoneman Douglas was the grand dame of Coconut Grove for many years. She came to town in the 1920's as a young divorcee, and lived in a little cottage in the South Grove for the rest of her long life. She lived to be 108. Ms. Douglas was famous as one of the earliest Florida environmentalists. She wrote the book "River Of Grass" about the Florida Everglades . Her book and other efforts helped bring about Everglades National Park. Robert Frost was a friend of Ms. Douglas, and owned a 5 acre spread in the South Grove that he named Pencil Pines. He bought it in 1940. He spent every winter in Coconut Grove for the rest of his life. Other famous writers, artists and musicians who have lived in The Grove include Tennesse Williams, Joni Mitchell, David Crosby, Jimmy Buffet, Sylvester Stallone and Madonna. Many movies have been filmed in Coconut Grove. The first one may be The Marx Brothers classic "The Cocoanuts", filmed in 1929. That's how the village was spelled back in those days. The set for the current television series "Burn Notice" is located in the old Dinner Key Convention Center in The Grove. The Grove was also the location of Pan American Airways and its fleet of seaplanes, the famous Clippers. The planes were moored and serviced at Dinner Key, and that's where the passengers boarded. The current Miami City Hall is the old world headquarters of the airline. I lived on my boat Silverheels right behind City Hall at Dinner Key Marina. Coconut Grove has a major annual art festival. It takes place in February and is one of the best I've ever seen. It typically features over 300 artists and attracts a crowd of 150,000 people. Another big event in The Grove is the King Mango Strut. This parade began as a parody of the Orange Bowl Parade, but has taken on a life of its own. The Goombay Festival is held for one week every June. Grand Avenue becomes a Caribbean carnival celebrating Bahamian and Caribbean music, food and culture. If you like boats, you will love Coconut Grove. In addition to marinas and yacht clubs, hundreds of boats swing on large mooring fields in Biscayne Bay. Hurricane Andrew in 1992 did major damage to Coconut Grove, but it has come back stronger and better. Many of the local marinas were devastated, but they are back too. Dinner Key Marina was completely rebuilt and improved after Hurricane Andrew. It has 580 slips, making it one of the biggest marinas in Florida. I have been lucky twice in my life to live aboard my boats in Coconut Grove. Once at Dinner Key, and once at Grove Isle Marina. The Grove is a great place for dining, drinking, walking and people watching. Coconut Grove is included in my treasury of Florida backroads travel places because peace and solitude are still alive and well. If you want it. There is action and nightlife also if you prefer that. In a city and state that have grown too big and busy for their own good, The Grove remains an oasis. The category of motels in Coconut Grove may also include hotels, bed and breakfast inns, or other forms of lodging including Florida state parks or private campgrounds. Hampton Inn. Not fancy, but clean and close by. Also close to the University of Miami in Coral Gables. Nice friendly staff. Reasonable rates, in this area that means normally less than $ 200/night. 2800 Southwest 28th Terrace, Coconut Grove Florida. Tel: 305-448-2800. Residence Inn By Marriott. This is where I prefer to stay if I'm in the area for more than a few days. Studios and one or two bedroom suites are available. Not too expensive for Coconut Grove and Miami. 2835 Tigertail Avenue, Coconut Grove Florida. Tel: 305-285-9303. Pearson House Bed & Breakfast, 3525 Vista Court, Coconut Grove Florida 33133. Tel: 305-987-3608. If you don't want to spend the high rates that hotels cost, here is a little private home B&B one block from the road to Grove Isle Resort. Clean and very economical, not fancy, but spend the extra money on good food and wine in The Grove. There are more restaurants in and around Coconut Grove than you can shake a fork at. I will tell you about a few that I've recently tried and enjoyed. Green Street Cafe. This is a wonderful casual restaurant right across the street from The Barnacle. It has both indoor and outdoor dining. 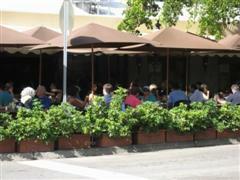 This is my favorite people watching spot in Coconut Grove. Pedestrians, skaters, bikers, cars and rickshaws give you a constantly changing view of interesting and different people. 3468 Main Highway, Coconut Grove Florida. Tel: 305-444-0244. Monty's Raw Bar. Monty Trainer founded this restaurant many years ago. He was a legendary wheeler dealer while a student at the University of Florida in the 1960's, and most of his old classmates remember him fondly. He sold this place but still shows up now and then. Outside dining with entertainment and view of Monty's marina. Good food and drinks. Try the Health Nut Salad and Conch Chowder. 2550 South Bayshore Drive, Coconut Grove Florida. Tel: 305-285-5176. The Cheesecake Factory.Fine dining in CocoWalk. This is next to Fat Tuesday's. The name sounds like a dessert place, but they have a full menu ranging from pizzas to great steaks and seafood. An upscale chain with other locations in Florida and elsewhere. 3015 Grand Ave, Coconut Grove Florida. Tel: 305-447-9898. The Knife Argentinian Steakhouse.This restaurant features mainly grilled beef. You go up to the grill and select the meat and vegetables you want. Reasonable prices and nice staff, mostly Argentinian. The locals, especially the Latin ones, love this place. 3444 Main Highway, Coconut Grove Florida. Tel: 305-447-1430. Coconut Grove is an attraction all unto itself. That having been said, there are numerous mini-attractions within The Grove. Some of the best are here. 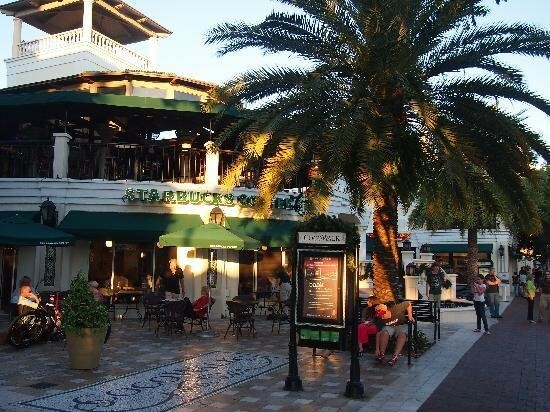 CocoWalk.This is a shopping, dining and entertainment complex right in the hub of The Grove. Some of the stores include The Gap, Express and Banana Republic. There is also a multi-screen movie theater. Many movies and televisions series use CocoWalk as a filming location. You never know who you may see there. I saw CocoWalk on "Burn Notice" the other night. 3015 Grand Avenue, Coconut Grove Florida. Tel: 305-444-0777. 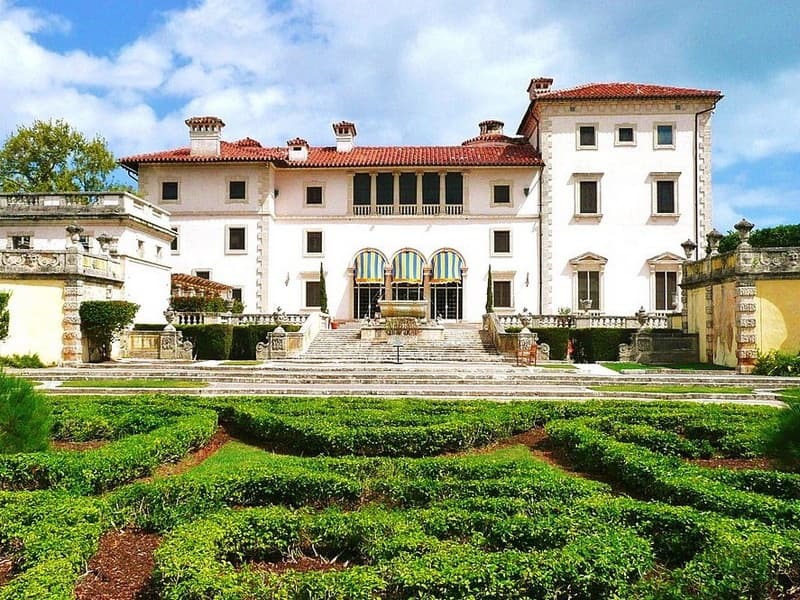 Villa Vizcaya.This Italinate villa was built in 1916 by John Deering of International Harvester fame. 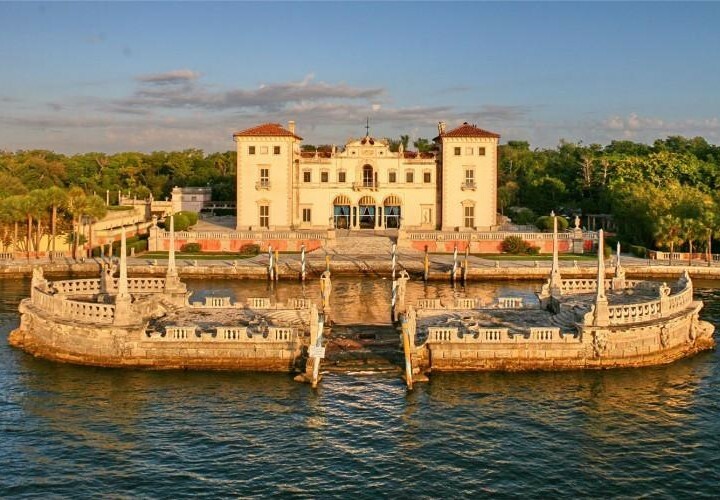 Vizcaya is a National Historic Landmark. Mr. Deering wintered here until his death in 1925. The house is filled with art and furnishings. The house and gardens are open to the public every day except Christmas. 3251 South Miami Avenue, Coconut Grove Florida. Tel: 305-250-9133. The Barnacle Historic State Park. This home was built in the late 1800's by Commodore Ralph M. Munroe. It is one of the oldest homes in south Florida, and is located on the shore of Biscayne Bay. The home and boat house is in the middle of a hardwood hammock. The home has furniture appropriate to its period. You will enjoy the view from the wide porches. This is one of the quiet spots in the middle of bustling Coconut Grove. 3485 Main Highway, Coconut Grove Florida. Tel: 305-442-6866.